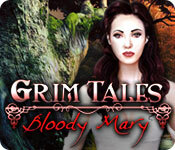 Grim Tales: Bloody Mary is rated 4.2 out of 5 by 61. Rated 5 out of 5 by Leopard113 from Twisted Tales in a Boarding School Setting The phone rings in the middle of the night, you hear "Auntie please save me, their all evil!" on the other end of the phone. You arrive at the boarding school of horror, dolls with no heads, wicked spirits terrified of the dark and disturbing graffiti have turned this once beautiful mansion into what would call their worst nightmare! Beautiful yet terrifying scenery, with crystal clear graphics makes the game play perfect. Being one of the first HOG which I have played, I really enjoyed it. I though that the story line was great, especially having the collector's edition, the bonus story explains a bit more to the story which is at hand. I believe that this is a most play for people, especially those who love horror or those who have a thing for anything urban legend. Definately look forward to playing many more games from this series in my space time! Rated 5 out of 5 by JulzCat from Good for Halloween time and every other time of the year! My daughter has wanted this game for some time, because she loves the "Bloody Mary" story line, and this game certainly did not disappoint! Creepy characters, excellent graphics, a cool haunted school...this game has it all! FYI...mommy likes it, too! Rated 5 out of 5 by Streva from Good, Fun, Long Game! Very good game! I'd give it a 4.5 rating. Very creepy story that was interesting to follow. The game play moves fast, lots of stuff to do, and there were a few puzzles that required some thought, but for the most part it was a very easy game. Long playing, too. Not the best game I've ever played, but it provided many hours of good, creepy fun. I'd recommend it. Rated 5 out of 5 by atrayu1 from Worth Every Penny Great graphics and scary storyline. One of my favorite games.. Rated 5 out of 5 by exlibris00 from terrifying! this game is so creepy! great visuals and a haunting soundtrack, two maps, and quite difficult gameplay. truly satisfying. wish I had bought the CE! Rated 5 out of 5 by zeldaqn from DELICIOUSLY CREEPY I stopped playing to write this since I noticed that there is a current bundle sale. I have never been sorry for not getting a ce but i am regretting it now. This game is great. Truly creepy and didn't lead you around by the nose. Long game play. I totally recommend. Rated 5 out of 5 by rpggramma from Good fun game Enjoyed this game; was interesting fun. Was not difficult; HOs and puzzles were fairly easy. Good storyline. Good map. Loved the morphed mirrors, always good fun! Rated 5 out of 5 by mikesilverman from Frightening Fun The dark mood of the game , the haunting sounds, the eerie and beautiful graphics and chilling special animated effects make this a great game for people who like horror based adventures. The game does a great job of creating and atmosphere that makes you want to go further and further into it, while also sending a chill down your spine. The game has a fully interactive map that allows you to jump from one location to another location, as long as you have already been to that particular location. It also shows where there are still tasks that need to be completed so that you can see where you need to go if you're not sure what to do next. 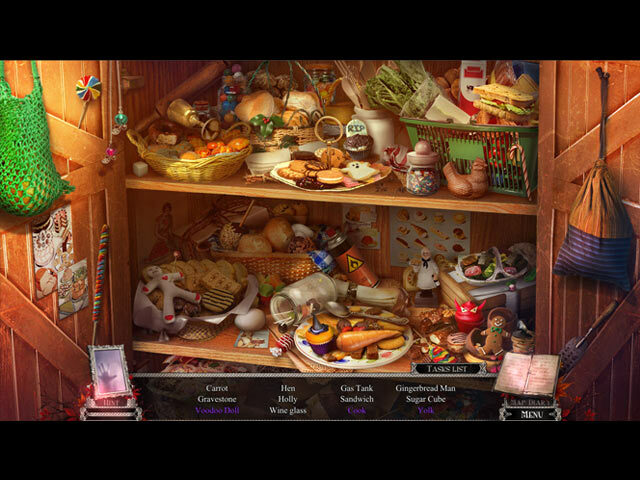 The hidden object scenes have some random animation to them and are clear, detailed and comfortable to search with well defined objects to locate. You should be able to complete most of them within a few minutes each. 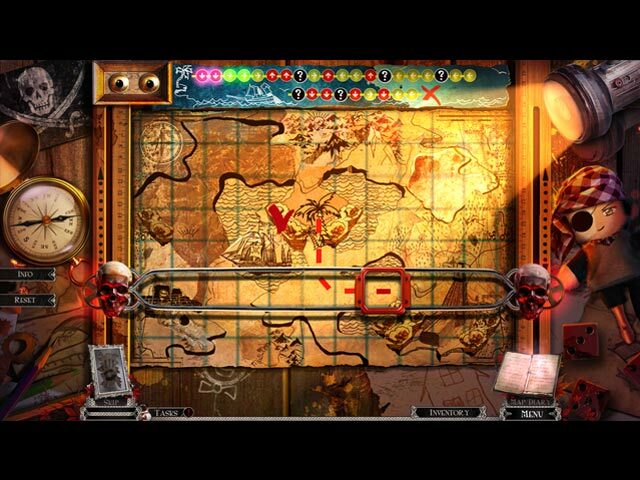 The puzzles range from moderate to easy in difficulty. A few rooms/locations in the game might require very careful searching in order to find the parts of the scene where you need to act. For example, the children's bedroom upstairs is impossible to fully access until you fix the fuse box on the wall in that room , to restore light to the room. I only happened upon it accidentally by randomly clicking around in the near darkness there. And in the garden off of the main room in the house you need to move your mouse carefully to locate the dirt patch with a foot print on it. In other words be sure to very thoroughly and very carefully inspect each scene for actionable areas. 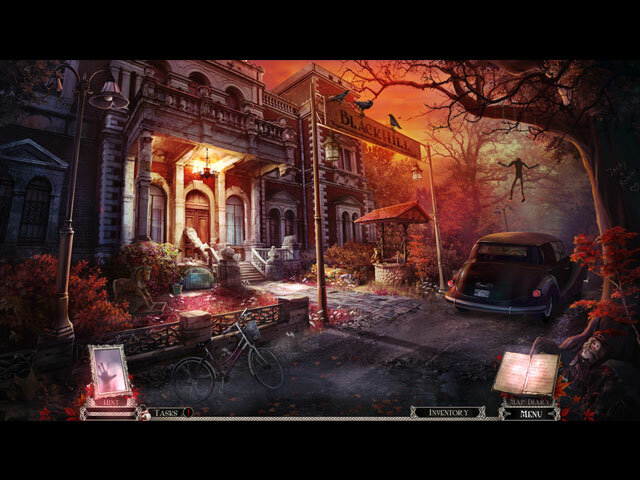 While this game is a lot of fun, I would rate this a moderately difficult adventure, I recommend having some previous experience completing hidden object adventures before trying this one.